No one would every guess that the new luxury boutique V Palm Springs resort was once a budget Travelodge. A couple of Los Angeles celebrity criminal attorneys purchased the property and gave it a $15 million dollar makeover. What used to be a parking lot, is now the 1960s style mid-century lobby with an iconic butterfly roof. 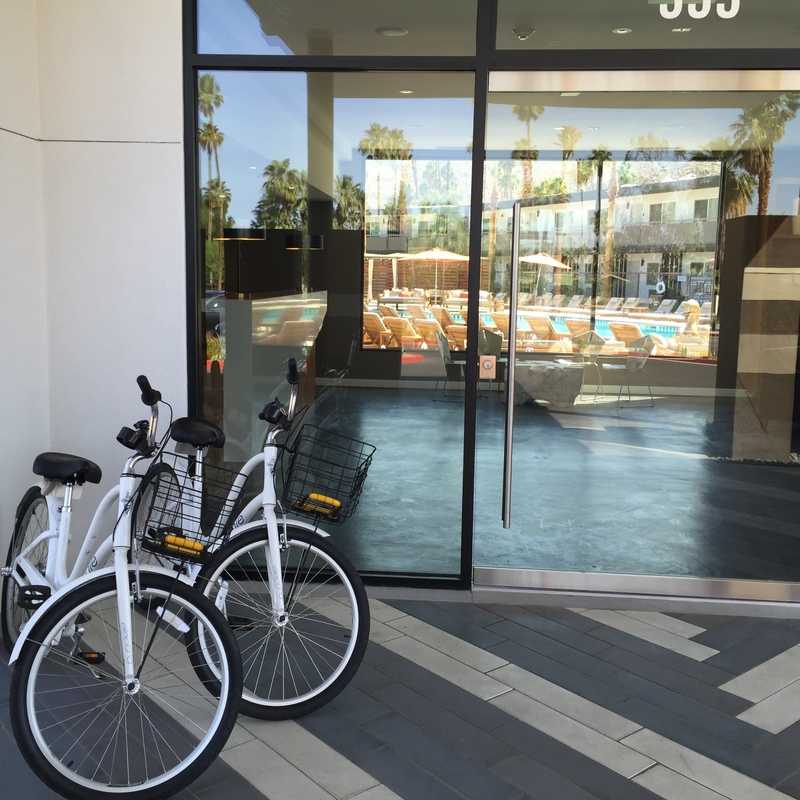 Cruiser bikes with baskets await guests next to a large glass front door to hop on and explore downtown Palm Springs along designated bike paths. Inside the lobby, staff members are eager to please guests at this brand new property because competition is fierce right now in Palm Springs, with an eclectic array of small boutique hotels along Palm Canyon Drive. What makes this one stand out from others is the sparkling pool with enormous golden swans luring guests to put on their bathing suits and float with their toes touching the water. 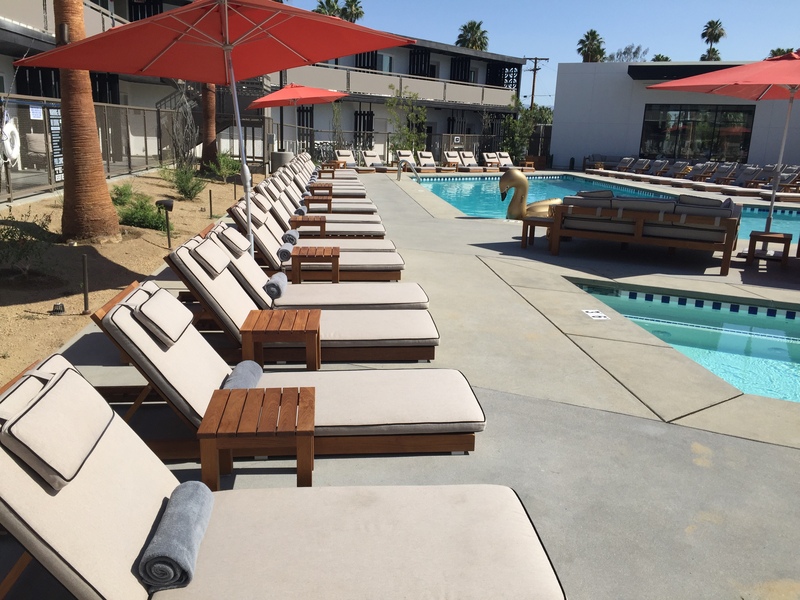 There are plenty of lounge chairs strategically placed on the pool deck for sun and a variety of umbrellas for those seeking shade and a nap. On one side of the pool, guests look up to exquisite views of the nearby San Jacinto Mountains. Staff member Brenda led me past the pool area with cabanas that cost upwards of $1,000 a day (includes champagne, fresh fruit and water) to my room number 117. She told me there is a small fitness room on the property and aqua yoga classes are offered at 9:30 a.m. on the weekends. Soon, there will be a business center in the lobby, and a full-service Polynesian-style restaurant. As I opened the door to my room, the air conditioner chilled it to an ideal 64 degrees. The king-size bed had a fluffly white duvet with a navy blue throw pillow and four down pillows. The 300- thread-count fine linen sheets are secured on the new pillow-top mattress. Each room has a 47″ flat screen smart TV, and inside the closet are two lightweight bathrobes and a personal safe. The large bathroom has a white tiled walk-in shower and large viewing mirror. The bath products include an interesting rum bar soap, peppermint shampoo, cilantro hair conditioner, rum body wash and vitamin B5 body moisturizer. Outside my room is the onsite Elixir Bar and Grill, which offers breakfast, lunch, Sunset Hour and dinner poolside. Another perk at this resort is the complimentary Buzz shuttle service to Downtown Palm Springs offered on Thursday through Sunday from 11 a.m. to 1 a.m. with a multitude of stops from The Riviera Resort to the Saguaro Hotel. There is a Buzz stop right in front of the V Palm Springs. The wait time is never more than 15 minutes. You can check the location of the shuttle by clicking on the buzzps.com site. Another mode of transportation are the free bicycles that can be borrowed, along with helmets, a bike lock and bottle of water. Park your car near your room and walk, shuttle or bike along Palm Canyon Drive and throughout Palm Springs. The timing is perfect for V Palm Springs to open, because the first two weeks of June is the Greater Palm Springs Restaurant Week. It’s the tenth year the Coachella Valley has showcased a diverse dining event with over 90 restaurants. It begins on June 3rd and runs through June 12th, with exclusive deals and prix fixe dinner menus available for $28, $38 or $48 per person. Participating hotels offer an array of perks, including specialty room rates and upgraded in-room amenities. 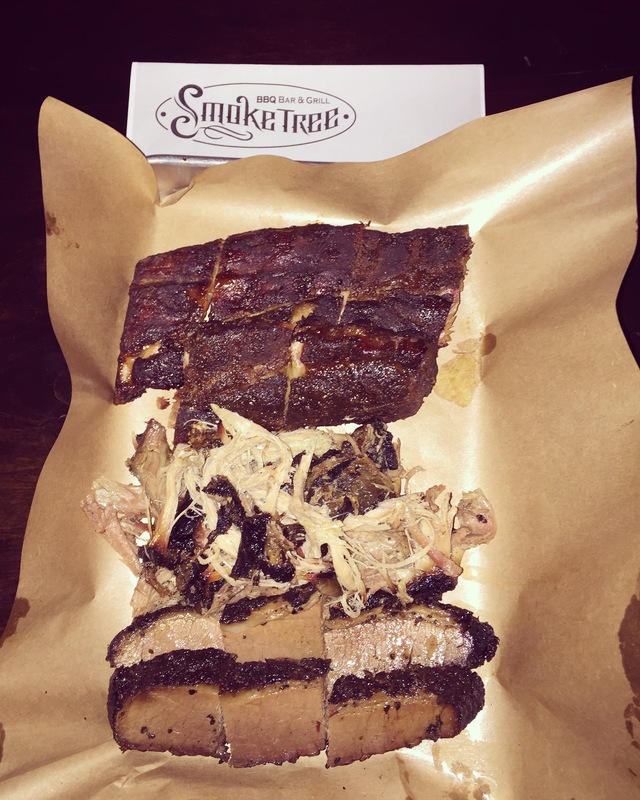 Some of the new restaurants to try this year for Restaurant Week and during the summer include The SteakHouse Spa Resort Casino; Smoke Tree BBQ Bar & Grill; Chi Chi at The Avalon Hotel; PS Underground “Velvet” Supper Club and Reservoir at the Arrive Hotel. Other restaurants returning to participate in Restaurant Week include Copley’s, Johannes, Kaiser Grille, Melvyn’s Restaurant & Lounge, Mr. Lyons, Rockwood Grill at JW Marriott Desert Springs Resort & Spa and Vicky’s of Santa Fe. 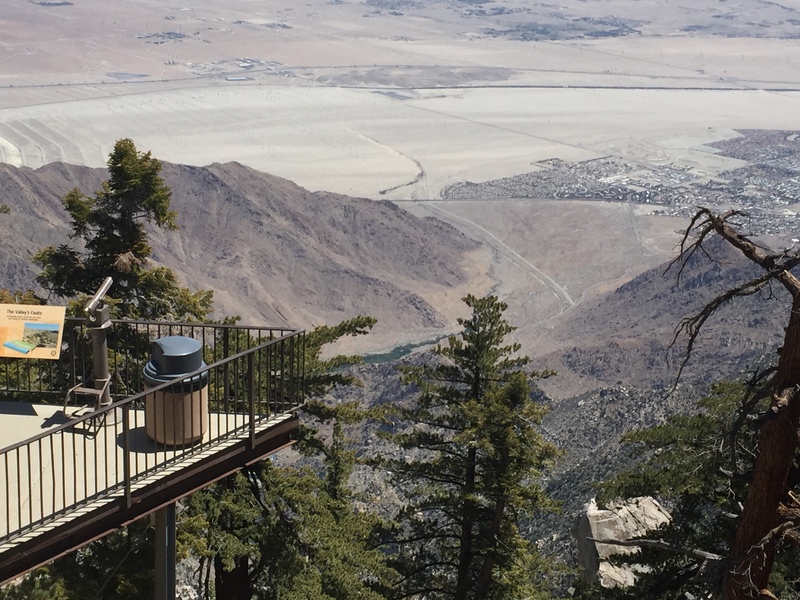 When the desert floor heats up, a ride on the Palm Springs Aerial Tramway is a 10-minute thrilling journey up the sheer cliffs of Chino Canyon. The views from the rotating tram cars are spectacular, and the temperature drops, to 30 to 40 degrees cooler. Visitors can hike on over 50 trails offering spectacular views of mountains, pinnacle rocks and the expansive Coachella Valley. 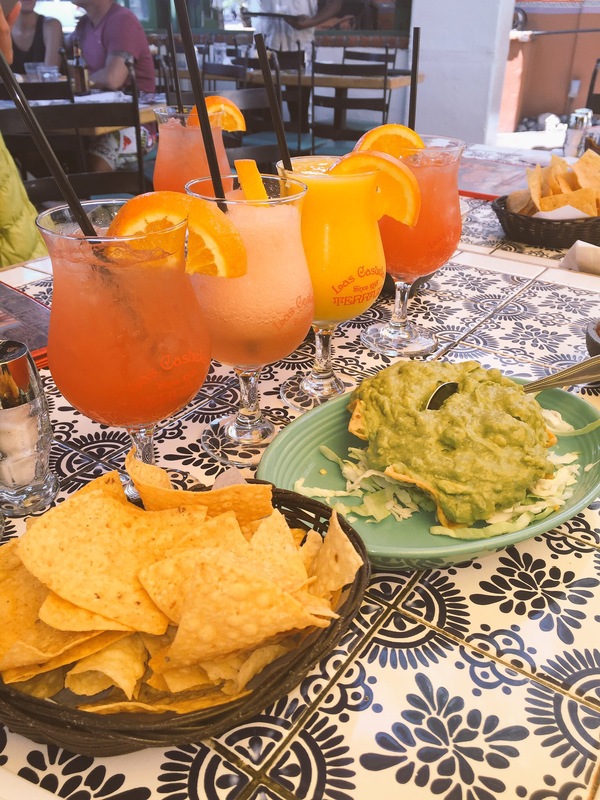 After the hike, drive to a local and tourist favorite, Las Casuelas Terraza, for blood orange margaritas, Mexican fare and chips with guacamole. 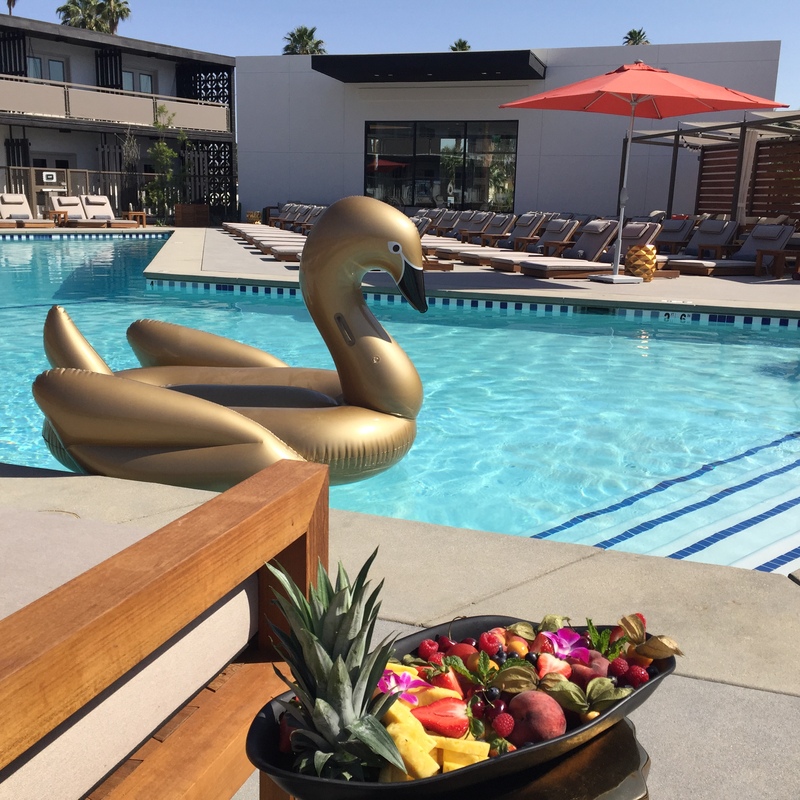 Then go back to the V Palm Springs to rest, relax and swim among golden swans. To learn more about what is new in Greater Palm Springs this summer, go to www.visitpalmsprings.com. 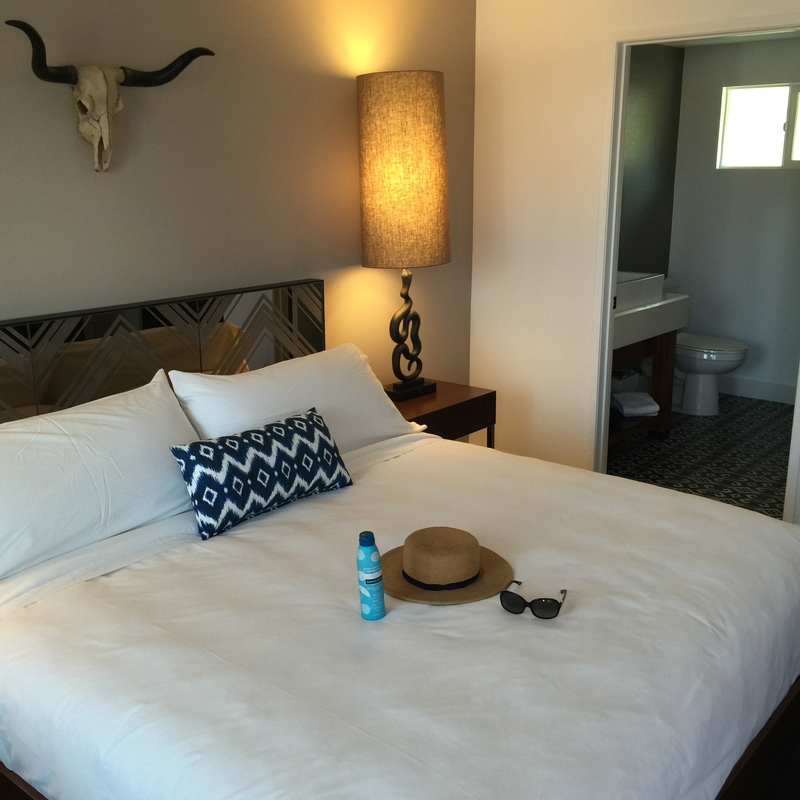 To reserve a room a V Palm Springs call (877) 544-4446 333 E Palm Canyon Drive, Palm Springs, CA 92264.